Trained and Licensed Massage Therapist located in the heart of Coral Springs. Massage techniques include Swedish, Neuromuscular Therapy, Sports/Event, Shiatsu/Acupressure, Reflexology, Cranial Sacral and Chakra Balancing. You will be taken care of with optimal care and respect. The services offered at Zen Out include Swedish, Deep Tissue, Acupressure, Shiatsu, Relaxation, and our popular ‘Ultimate Zen’ 90 minute treatment. Extra services including aromatherapy, hydrotherapy, reflexology, foot bath, salt scrubs, eye pillows and guided meditation. 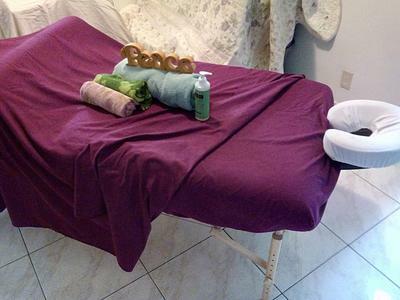 Draping is used during every massage session. You will find my gentle and honest energy refreshing and comforting. The techniques I utilize will revitalize your body and mind. I customize each massage to fit the specific needs of each individual I work with. My clients find relief from chronic aches and pains, relief from migraines, sciatica, severe neck and shoulder pain, hip and knee pain, and most importantly stress! Not only am I a massage therapist, but I am a Candler. My handmade product line sells from $4.00 and up includes scented soy candles, lotions, scrubs, soaps, incense and air fresheners. I offer a selection of other wellness products, essential oils and Biofreeze is a stable seller. During massage therapy school, it was my vision to incorporate and balance my hobby business with my professional business. make a difference in other people’s lives, facilitating comfort and love to ease their mind, body and soul. I am happy and fulfilled in my career and family life. 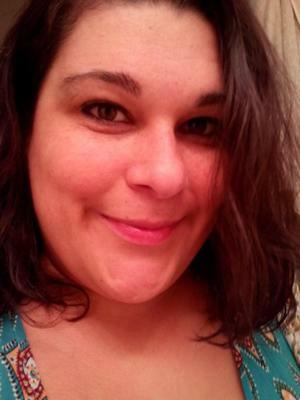 I am a Licensed Massage Therapist, and the owner of Zen Out, a small business in sunny South Florida. Zen Out is a safe haven for people to come and find peace and harmony. Zen is a form of meditation with a focus on the mindful awareness of the present moment. The phrase “being zen” or “having a zen attitude” has come to mean viewing life calmly with self-control and wellness. By this definition, being Zen is about doing right for the mind, body, and soul. It can help you relax, have a positive outlook on life, and find a higher plane of spiritual worth. I have a strong list of regular clientele who receive massage therapy treatments. My clients enjoy the relaxing environment, the scent of Nag Champa floating through the air and soft new age music in the background. My career is a source of joy, fulfillment and prosperity. It is an expression of who I am and I have the freedom, strength and courage to express and nurture myself. I enjoy working with people and I make a difference in every life that I touch.